Why to Get MaxiSys MS906BT? 3. One Year Free Update Online, you need to buy Update Service (SP262-BS) to continue to update over free update, only 650USD/Year. 6. Support Wifi and Bluetooth . But Wifi is only for Update. Can Not Use Wifi Connection to Do Diagnose. Bluetooth is available for connectivity between the display tablet and VCI device allows greater mobility and ease at work. 7.If you need other Autel MS906 parts, please check Main Test Cable for Autel Maxisys MS906 (SF208) , Autel MS906 One Year Update Service(SP262-BS) and Autel MS906 Touch Screen(SO417). MaxiSys MS906BT is the latest addition to the MaxiSys product line of advanced wireless diagnostic devices. The device is based on the Android operating system featured with the best possible coverage of OE-level diagnostics and ECU coding capability. The MaxiSys MS906BT efficiently provides comprehensive vehicle diagnostics and analysis. The actuators are not always visually visible or too complex to assess their performance with organoleptic (eyes, ears) methods through normal activation. That's why the test-components are implemented in MaxiSys scanners. Test-components will allow you to include special test modes in the computer, in which the electronic system itself creates conditions for verification and evaluates its results with further recommendations to the expert. After replacement, for repair or cleaning of some sensors and many actuators of electronic systems, an adaptation or initialization procedure is required. When performing this procedure, the basic values of their work, the reference point, are established. In a modern car, there are many such elements that require similar procedures, which makes these functions vital for the service. In MaxiSys systems, these procedures are presented at the dealer level. The first is the computer coding during replacement, commissioning, used to install a new computer in the car. When performing the procedure, the computer is informed of vehicle's VIN, the configuration and other information necessary for correct operation. Q: If i have j2534 maxiflash pro, can i use with autel ms906bt to program ecu / ecm? Q: Does this machine do abs,srs and air bag? A: It come with One Year Free Update Online, you need to buy Update Service (SP262-BS) to continue to update over free update, only 650USD/Year. This unit works great. The battery life and specs are incredible. It saves me tons of diagnostic time, I tried the 905mini but, the battery life was just not where I needed it to be. This is the best scan tool I've ever worked with. This is an exceptional tool when compared to price and function. I've used several big name scanners from Snapon and Mac as well as oem such as Witech. 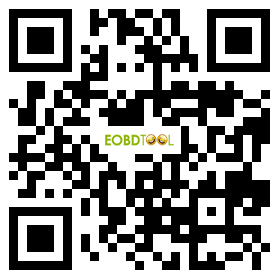 This tool has numerous vehicle coverage and functions. You're able to perform many bidirectional test as well as reset maintenance options. Also, it reads the majority of PIDS on the vehicle. That in itself is worth the price. Overall I'm very pleased and impressed with this product so far. Autel has done an exceptional job. Compared to the competitive scan tool I was previously using, Autel 906BT deliver diagnosis scan three times faster. My favorite functions of the tool are the touch screen and wireless VCI, which lead this tool very easy to use. On top of that, I like that the scan tool has a function called Vehicle History holding vehicle information, so the customer has the option of going back to something they were previously working on, and also I like the graphing functions and Data Logger making technician to see what the vehicle was doing when the vehicle coded. Conclusion: a low-cost scan tool with a high-end capabilities and coverage.